Session runs for 30 minutes only. Save and Total Recall functions disabled. FM synthesis has played a huge role in music culture over the last few decades. The FM8 picks up where its award-winning predecessor, the FM7, left off taking FM synthesis even further. 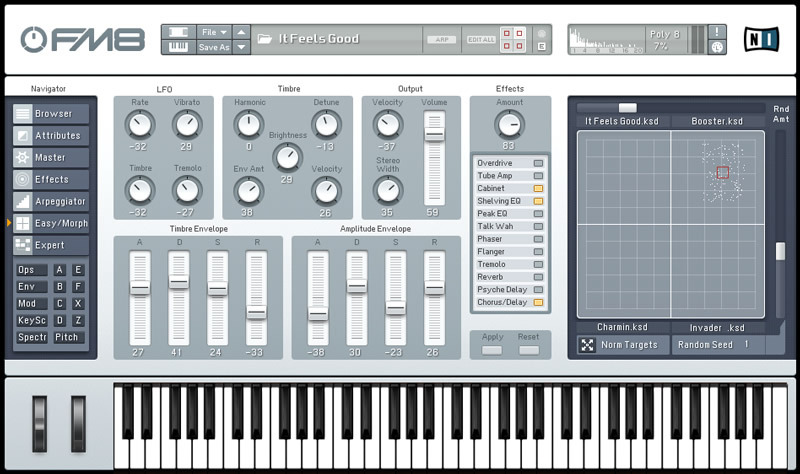 FM8's emphasis on ease-of-use brings a high degree of simplicity to the otherwise intricate process of FM synthesis. The powerful new audio engine delivers unsurpassed quality, generating a livelier, more energetic sound than ever before. Posted by peio on Wed, 08/01/2007 - 20:19. Posted by PEIO on Wed, 08/01/2007 - 20:21.